One of my best Top 10 Reads of 2016 is on sale! 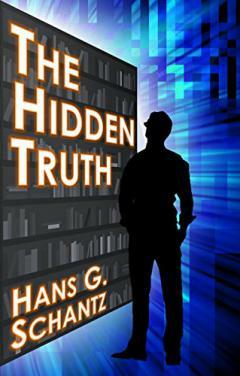 The Hidden Truth by Hans G. Schantz is only $0.99 starting today until Tuesday May 2. Then the price will be discounted to $2.99 for the rest of the week. At the end of the week, the price will revert to the usual $3.99. I like this book so much I had suggested it for our book group to read. If you want to see why, read my review of it from last Fall. By the way, The Hidden Truth is free for Kindle Unlimited subscribers. If you want to see if subscribing is right for you, can get a Kindle Unlimited 30-Day Free Trial. I owe a mention also to the AoSHQ reading group on Goodreads: AoSHQ Moron Horde. The link to it is here: https://www.goodreads.com/.../show/175335-aoshq-moron-horde. I'm honored that the Hidden Truth has been selected as a book-of-the-month. Looking forward to discussing it there.